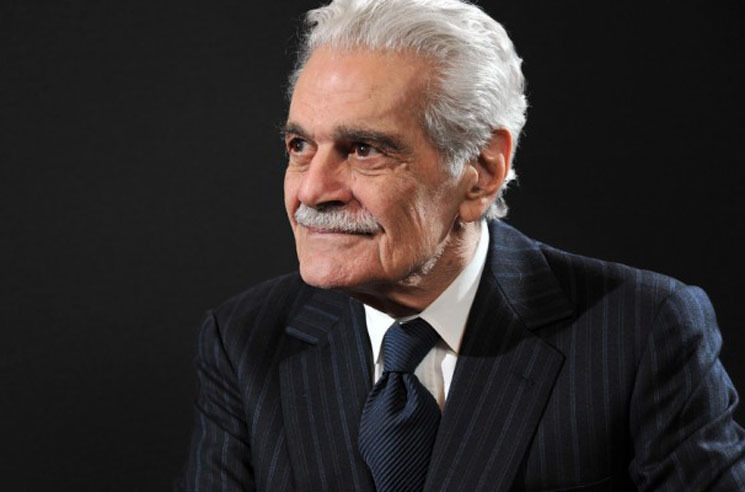 Hollywood actor Omar Sharif has passed away at the age of 85, as a result of a heart attack on Friday morning (July 20). Earlier this year, it was revealed that the film star had been battling Alzheimer's. The Egypt-born actor obtained degrees in math and physics before going on to study acting at the Royal Academy of Dramatic Art in London, UK. He got his onscreen start appearing in Egyptian films before making his English-language debut in Lawrence of Arabia in 1962. The role earned him an Oscar nomination for Best Supporting Actor, and a Golden Globe win. From there, he would go on to star in acclaimed Hollywood pictures like Doctor Zhivago and Funny Girl. For the former, he received a Golden Globe for Best Motion Picture Actor for his portrayal of the film's title character. Sharif was married to fellow actor Faten Hamama from 1954 to 1974, but never remarried after their divorce. She died in 2015. At the time of his death, Sharif was residing in Cairo with his family. He is survived by his son Tarek El-Sharif, who appeared onscreen with his father in Dr. Zhivago at the age of eight. Sharif's final film was the 2013 French-Moroccan drama Rock the Casbah. Below, relive a scene from Lawrence of Arabia featuring Sharif and his friend and co-star Peter O'Toole.